It was intercession time in church on Sunday 10th March and as usual, the church maintained its tradition of interceding for two countries each week. Coincidentally it was time to intercede for Ethiopia and Djibouti; two countries from the region called the horn of Africa. The map of each country was displayed by the projector. Ethiopia was first and the prayer leader that unassuming Sunday raised several prayer points…it was shortly before 10am. The prayer leader remembered the famine years in the 1980s when the world raised humanitarian support for suffering Ethiopia. He also noted that after the famine, the country rose to become one of the most stable nations in Africa. He particularly mentioned the Ethiopian airlines which has become the pride of Africa in recent time. No body perhaps in the congregation knew the airline had just lost an aircraft fewer than 90 minutes earlier. Getting home in the afternoon, the news came via the social media an Ethiopian airline, a Boeing 737 MAX 8 had crashed six minutes after takeoff en-route from the Ethiopian capital, Addis Ababa. The next bad news was that there were two Nigerians on board! Immediately I started searching online. A rumour had it that the famous Professor Pius Adesanmi was one of the Nigerians. I continued my search, praying it was not true. I contacted some professional colleagues and we all prayed it was one of such fake news we always warned people of. Later we found that the two Nigerians on board did not carry Nigerian passports. Adesanmi and a former Ambassador were the two Nigerians. While Adesanmi carried a Canadian passport, the former Ambassador Abiodun Bashua carried a United Nations passport. Then I became more curious since Adesanmi was based in Canada and 18 Canadians were involved. When it was eventually confirmed, I grieved in my heart till I had no strength left all evening till the next morning. Apart from the fact that we share the same Alma Mata, the loss of 157 people from 35 countries was a huge one to the aviation industry and to the world at large. Later I read on Facebook Adesanmi always loved to meet Titcombe College students anywhere he found them. I had participated in several online debates where he shared extensively his noble ideas. He was a notable member of the social media family and would be missed greatly. I had wished someday we would meet at the Titcombe chapel to sing some of those hymns every Titcombian was raised with. Titcombe College was founded by missionaries from North America serving on the then Sudan Interior Mission (SIM) platform in 1951. The missionary platform later metamorphosed into the famous Evangelical Church of West Africa (ECWA), which also recently metamorphosed further into the Evangelical Church Winning All (ECWA). Reverend gentleman, Tommy Titcombe and his team had founded Titcombe College and the famous ECWA Hospital in Egbe, north central Nigeria. Egbe was formerly in the northern region, then was in Kwara State at creation in 1967 up till Kogi State was created in 1991. While Titcombe College served the entire region with qualitative education, the ECWA hospital, a sister institution just opposite Titcombe College was a centre of excellence for medical practice up till today. The hospital unlike Titcombe College is still administered by ECWA missionaries and no wonder the tradition of excellence is still preserved. The college whose motto is Learn and Worship has an age-long tradition of hymns, academic excellence, sports, neatness, roll calls and a few others. Students are identified by their admission numbers rather than their names. Such admission numbers are used daily during the several roll calls at intervals and it is one of the first things students ask themselves when they meet anywhere in the world as a proof of attendance. The chapel service was a major activity and compulsory during which hymns were sang. The Olympic size football pitch housing other track and field events is another conspicuous feature, then the administrative building, the quadrangle, the junior field, school farm, the flamboyant and palm trees, neatly lined, hostels, dining hall, the gangways, the laboratories, the library, the Wele dam, the power house lighting the entire school, the Balisky’s workshop (Balisky was the engineer on the Rev. Titcombe’s expedition), the orchard where exotic fruit trees and flowers were cultivated. I had thought someday, Senior Pius and some of us would meet on this beautiful campus to walk the places we used to walk several years ago though at different generations. I had thought we would once again converge on the chapel during the old students’ home coming and sing some of those old hymns but it only pleased the Lord to whom we used to sing to permit his exit. By the grace of our Lord Jesus we would someday meet in that endless heavenly chapel to sing forever some of those songs we did at Titcombe. The likes of Heaven came down and glory filled my soul, and the one that has to do with our daily Titcombe activity-roll calling, written by Jonny R. Cash (1932-2003) When the roll is called up yonder. Now, no more Titcombe roll calls, but someday, we shall gather to take the all-important roll call. We may not need to sing When the roll is called up yonder anymore, but the actual roll call would be ripe then and we shall be there by the grace of God. 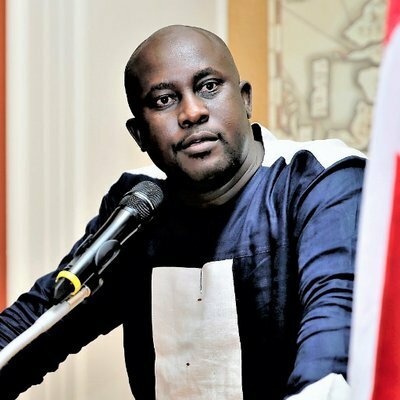 Adieu my senior, adieu Professor Pius Adesanmi. You came, you saw, you wrote and you conquered. Now with your Lord and Saviour who earlier conquered death for you. Good night senior Pius, you were here and your mark is still with us, indelible! Good night!